One popular method technical analysis used by traders is to trade the moving average cross over. They often use this method as an indication of when they should buy or sell currencies. The line that indicates a trend and which is plotted on a chart is called a moving average. In order to calculate a moving average, you must add the closing price of a pair of currencies over a certain number of time periods. If you were going to make this calculation based upon the hourly closing price and the time periods were 150 then your equation would be (150xhourly closing price)/200. The most accepted periods for these calculations are one hour, four hours, eight hours, and on a daily basis, but the equation can be formed with any period of time. There are a variety of moving averages. A simple moving average is determined by the above equation. An exponential moving average is influenced more by the most up to date closing prices. A linear moving average is just like an exponential, but the influence by the most current closing prices is even greater. The moving average is used by traders to indicate the beginning of a trend. That trend can be either bullish or bearish. The below chart shows what either trend might appear as. In order to see where the bullish and bearish trends begin and end, as well as to indicate when you should trade with a cross over, you add the simple moving lines to this one hour chart. The slow line (white) is measured over twenty time periods, and is going to be relatively flat because it uses twenty past closing prices. The second line (yellow) only uses five historical closing prices and this causes the line to follow changes in the closing price more closely. This line is known as the fast line and is visible on the chart below. How do you trade the moving average cross over? Foreign Exchange traders favor a trading strategy that calls for the moving average cross over. This is because it is a lagging indicator. Lagging indicators result when the sell or buy indicator is more precise because of a lack of market noise. On the below chart, you’ll notice that the yellow, fast line, crosses over the white, slow line. In this chart, the price of the euro was decreasing before the crossover indicated that the trader should sell. If the trader sold before the crossover took place, it could have resulted in losing money on the trade. The line continues to fall before it begins to trend sideways. Then, the fast line (yellow) crosses the slow line which indicates that the trader should buy. A trader who decided to make a trade when the moving average indicated that they should buy would have profited from the trade, but if the trader waited and kept the trade open for several days, they would have made a larger profit. Generally in Forex trading a great amount of indicators are used and Alligator indicator is also one of them. This indicator is basically formed by combining 3 moving averages. These three indicators are represented by 3 different colored lines i.e. the blue line, the red line and the green line. Blue line shows 13 periods and can move up to 8 bars. Red line shows b periods and can move up to 5 bars and the green one show 5 periods and can move up to 3 bars. If you are a Metatrader user then you will find that Alligator indicator in custom indicator inside the navigator window. When all these three lines get too close then it means that the market is showing very volatile trend and there are very low chances for further trade. When these 3 lines get wider this indicates that the market has got trendy. You have to observe what type of trend is it. If the lines are going up this will indicate that the market is showing positive trend and if the lines are moving down then it means that the market is showing negative trends. Positive trends show buy market situations while negative trends show sell market conditions. There are many candle stick patterns. We have discussed few of them in our topic. These trends are mentioned below. These four patterns are very rapidly used in forex trading. The idea of purchase the dip may be an excellent in use while we are identifying the pair that is an uptrend. As per this idea, the pair keeps on moving higher, always there would be retracements/dips/pullbacks that happen. When those occur, the trader presented with a chance to go through the trade (purchase on the dip) on the way of a trend on a more positive price. When purchasing on dips, the end may placed under the lowest wick or candle that happened during the dip or retracement. When corporate insiders, institutional investors, professional investors, and hedge finances become worried that marketplace has now become over-valued or overbought and it is due for the modification they like to vend early, be assuring that they would be vending into still increasing prices. Actually, as their vending developments, usually the mechanism grounds the marketplace for rapidly runs out the steam and decline even though the others are purchasing yet. The pattern looks factual this time about, as proved by the top rank of insider vending in the 1st qtr, and the current SEC filings by Georgs Soros, Warren Buffett and some other huge investors who should report modifications in holdings, and showing that they vend the huge stock total from their collections in the 1st quarter. In the meantime, public investors still if conscious of overbought situations and expecting a modification, like to keep on hold to effort to obtain every upside position. By definition, it means that, holding on this until a market has verified it in a modification. Apparently, the income is an equal if one vends early on and market increases another five percent, or if the one waits till it is low five percent before selling. In both scenarios, the market would be at same level. Huge Professional investors, hedge funds and institutional investors are deal in large total of stock; this all cannot be vend at once, requiring era to move. This would be the big hazard for them for stay until the modification has started before opening to sell. This problem is not for the individual investors. They may immediately make the change with a phone call or with a click of mouse button. Therefore, theoretically, they may wait until last minute. Another advantage of vending into power is that the one often obtains a better cost than expected, whereas trying to vend into serious turn down often consequences in vending at a very lower cost than expected, while point out by the one thousand point couple of weeks ago. Would the rally present second chance to vend into its power before downside resumes? On the other hand, it would be purchasing opportunity in expectation of another prop in bull market, while occurred after the ten percent January and February modification past this year. The declaration of the trillion-dollar IMF/EU European debt saving plan taken just only extremely short relief, and after that the international markets nose-dived once more. This rule Buy the Dip and Sell the Rally rule in forex trading I use only when I make trades using daily chart. Sell EUR/USD on 1.383, stop loss 1.4, profit 1.318. My profit can be 650 pips or my loss can be 170 pips. I made decision based on pivot points, weekly chart and daily chart and I use analysis Top Reasons for the EUR/USD drop – why EUR will go down ?. Economic indicators refer to the data which includes both economical and financial, published by the private agencies and the government. This public is published on the regular basis so that business community can be aware of the economic and market situation. Those who consider the business as the religions refer the economic indicator as Bible. Since, so many people are anxiously waiting for this data; it becomes so powerful that many a times it causes a major change in the market. As a new player in the market, you might now know that one doesn’t need to have a master’s degree in economics to understand the data of economic indicators. One just need to take the basic guidelines so that he can understand, analyze, track the market to make the better decisions. The initial thing you have to keep an eye on is the release time period of the economic indicator data. It is recommended to mark that date on your calendar so you can get to know at the spot. If you keep an eye on the economic indicators, it will help you to understand the movement of the market. For example, a company was spiraling downwards from the start of the week. At that time, a majority of the trader would be holding a shorter position of the company. Since, the company is going to release its data at the end of the week; it is likely that company will see a speed up of the market towards the end of the current week. The reason behind this pace is that now traders are thinking to leave the short position. No doubt, the economic indicator causes a change in the market. It could be directly or indirectly as it depends on how traders will interpret the information. If you want the data to work for your benefit, you first need to understand what is meant by that data. This way, you will be able to know that through which indicator market growth is measured and which indicator causes inflation. After spending some time with the data figures, you will finally get to know the data terms that are used for the growth of the market. Through the help of the market indicators, you will get to know the information regarding any part of the market. This is because maybe something is important for you at the moment, and then it becomes less important in the coming times. You must keep in mind that foreign exchange always has dual sides. Therefore, you must carefully understand the data contained in the economic indicators in the reports of U.S. and Europe. In case you are going to do trading in the currency of another country, then first you need to look at the economic indicator data of that country and then do look at the data from the US. GDP refers to the Gross Domestic Product. It includes the detail of all the goods, and services produced within a country either through foreign or domestic companies. This indictor helps in estimating the economic growth of the country. This refers to the total production of a country through the industry. The industry includes factories, mines, and utilities. This watches a nation’s capacity over what has been used and how much is left. Manufacturing covers over ¼ of the economy. PPI refers to the Producer Price Index. This refers to the movement of price in the manufacturing department of the economy. This usually includes finished goods, intermediate goods, and crude goods. It contains the detail of selling prices that are recovered from the local producers. CPI stands for the Consumer Price Index. It includes the price details paid by the urban consumer who includes more than 80% of the market for the goods and services. It includes the price details of more than 200 categories. The retail sale is a report that includes the receipts recovered from the areas that occupy of different sizes and business across whole US. This tells about the trend of consumer spending throughout the year in every department of the whole economy. What are the best times to Make Trade with US Dollar ? United States is second largest trading place in the world. This comprise of the third seesion of trading after European session. Exchanges during this session represents 22 percent of the volume of currency trading amount for the day. whiel considering this context, it is a very similarto the volume during the session of the Asia-Pacific. When New York becomes largest share of turnover in the region (19 percent), it will be the seat of the trading period of the United States. The main focus in currency at the U.S. session is U.S. dollar (USD). High value of U.S. dollar transactions may lead to high volume and volartile levels . U.S. session exhibits moderate to even high risk or challenge for traders. It will give unique challenges to check the risk tolerance of traders due to its relation with stock and bond markets. The average range of seeds is about 95 pips. EUR / USD is also a strong option for this session, but may be even more important movements in American-European cross-session. Another viable option is the USD / CAD, which is an average of 84 pips during this session. This session will present a moderate or high risk to the merchants. During this session, the price changes in European currencies will be quickly and unpredictably changed, especially when the session is closed. The range of seed medium is approximately 45 pips. The U.S. session is truely exciting and adventrous. Economic data are usually released in the morning (8:30 to 10:00) and some reports to make the currency market moves during the U.S. session. A large number of transactions involving the dollar will be in a constant motion. Bonds, stocks, commodities markets and are closely related to the foreign exchange market to the news or events affecting the markets move in the USD. This is specially true for bond market. Be aware of any closure or new homes in this market for the USD will be affected. It’s both safer and potentially more profitable to attend on the exchange of USD during this session, the position is long or short. Currency pairs involving non-core currencies (such as New Zealand dollar (NZD) and Australian dollar (AUD)) could be tempted, but is better suitable for long-term trading or wealth or day trading swing trading. However, the major currencies like British pound (GBP), Swiss franc (CHF), and Japanese yen (JPY) Can result in a strong and reliable moves in prices. My goal during the U.S. session these are jobs that are strong trends in the card the day or hour. You can find currency pairs with a 30 or 35 ADX. These trends are even stronger when economic data were released. The non-agricultural wage, the ISM manufacturing survey, price index (CPI), gross domestic product (GDP) and proportion of retail sales are the biggest engines of dollars. Fed meetings and the decisions also move the dollar in a comprehensive and sometimes surprising manner. However, do not negelect power of the European Central Bank (ECB) and the Bank of England (BOE) to put pressure on the US dollars. Just like the name implies, the prognosis for change deals with the ability to just predict the value for the long-term and the price of currency. We have come through at least two methods to predict such price alterations. First one is the fundamental analysis. Second is the technical analysis. Any way, technical analysis is fine to develop trading policies and means to predict the future price movements. The market situation is not a vital factor for the Technical Association of the transaction. Fundamentalists are generally trying to predict behavior of the market and then discuss on how the currency reacts in this market. You can make traders crucial to develop models, which develop a new trading strategy. Technical trading people go directly to the trade in developing countries. As you can see the names of the models can be used to analyze the various aspects of monetory and economic conditions. many business men joke that these are the items for the book worms so as to use to predict price changes in currency pairs. These merchants seek to predict long-term outlook for currencies. Using business models is definitely not much easy. Actually, they are very difficult. They demand trader to examine different economic reports carefully. Getting the number is not enough while using these kind of models. You should go behind the numbers, read the reports, and then analyze its meaning. In other words, one should read more newspapers! Though it is a bit difficult and time consuming but can also be rewarding. Many operators, using models of negotiation are seduced by the data. start to analyze the numbers of mental health promotion that they offer, instead of currency values. Suffer from overload of information , and then succumb to “analysis paralysis.” Attention to this process. Focus on what data can perform for you instead of trying to collect a lot of information you can avail. Technical analysis can be say that it is something more than that of reading the charts. Charts do have a very fine role in this pattern of analysis. The movement of prices is just a portion of story. The technical indicators and studies helps to evaluate the price shifting of the currency. These will definitely show whether the price movement is either strong or reverse. Also they can predict on next price change of the currency. There are several dozens of various types of technical indicators. Each vendor uses their favorites. However, most traders would agree on that there are three indicators that every business man related to this currency sector should use. Moving average lines is one of the excellent indicators of whether a market is bearish or bullish or , bearish or not existing.. They shows levels of support or resistance. This piece of information can be given in an instant. As support, the pricevalue is likely to begin moving to higher levels, while at the limit of resistance, the price is tending to fall. The 20-term moving average line is considered up to the standard for currency trading people. The Bollinger Bands are the trading bands which are placed on a change in the price and the moving average line 20. It Shows if a currency is trending and clearly points where there could be a reversed price movement. Bollinger bands are great to show support and resistance and the degree of volatility or the better price change of even a single coin. Support is usually in the lower category of Bollinger band, where as resistance can be observed in the upper Bollinger band. This is an indicator which works well in moving average lines and also in Bollinger Bands. ADX exhibits the strength of the trend. If the trend is really strong, it will continue. And when it is weak, it may translate. The actors have a different strength of the trend in the figures. ADX level, which is less than 10 indicates that currency trading is in a narrow zone, or is not oriented at all. ADX level of over 30 indicates a moderate strength of the trend. Ultimately,when ADX is above 40, it indicates strong trend. Traders initially may get just attacked by huge number of the technical indicators. But be careful while dealing with each one. From this article of three major indicators you may be provided with a good basis of mapping. Usage of candlesticks along with above indicators provide excellent image of market. Moving average lines, charts etc are much crucial in analyzing how currency prices will move in Forex trading. Economic data, present events, all fundamental analysis is helpful in predicting how a currency value will change. The basic principle of supply & demand are fundamental and technique method. Prices can change easily in free market place. As there is less or more demand the currency price will change. The increased demand for currency is the economic data mentioning a strong economy in case of demand for the currency could decline along with the lower interest rates of central bank either prices are set for the demand and lower prices for which is having less demand. Currencies rally if the demand increases. As the level of supply rise and fall the currency value also change. A currency will diminish value and price when there is a great demand for supply. Likewise, a currency value and price will increase when there is over demand for it. The demand level for a currency, based on this the trader have to remember how the real price moves. This makes currency prices unpredictable. There are many factors which affect the demand and supply of currency. Even weather and current events are also can make changes in the supply and also demand for the currency. A time duration which is more than one year is called as Long term supply & demand. Both factors could affect currency prices in both factors. The trader should take note of the time the trade is being made. Those two times can run parallel and they can diverge causing an inconsistent movements of price. Because of that be aware of the trading time and environment when Forex trading. Technical factors can influence the supply & demand but most of this are fundamentals. Knowing more about those factor will keep you stable and gives you less distractions that could higher forecasting skills. This will enhance you to analyze and interpret any type of event in the long term and the short term price of currency. 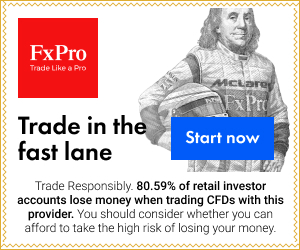 What is Forex Trading Plan ? There is a trait between successful and unsuccessful forex traders. Unsuccessful forex traders do not commit themselves in their trading plans and do not stick with the plans whereas successful traders stick with their trading plans and commit themselves with the trade. An insurance against human irrationality which is natural is known as a trading plan. Most of the successful forex traders set their own trading plans and stick with their plans such as by creating objectives, goal targeted plan and the ways to get their objectives and is the same with the successful businessman. A plan which is actionable, concrete and certain is called a good and well-developed trading plan. Trading plans should be made by you and should not depend on others advice because entering a trade without prior planning you are sure to put your trade into risk and no one will be responsible for it. Traders just only want to make money and therefore most of the traders would avoid any disturbances that arise between their trades and with trading account in forex trading. So all you need is to make a proper goal in trading and without making any trading plans you are sure to loss everything in trading and in currency markets. In order to make a successful forex trader and become one of the skilled professionals like managers of different banks you need to make a well-developed trading plan. So in trading plan is the most important thing that is beyond discussion. Therefore planning is the edge in trading.